There’s no denying that Las Vegas embraces cultural diversity. Even a short list of themed hotels gives nods to France (Paris Las Vegas), Burma (Mandalay Bay), Venice (The Venetian), Egypt (Luxor), Brazil (Rio) and Asia (Lucky Dragon Hotel and Casino). Lion and dragon dances are important Chinese rituals that symbolize good luck and prosperity. Las Vegas visitors can experience the ushering in of the Year of the Rooster via these dances, festive décors, culinary fetes and entertainment throughout the city’s hotels, restaurants and attractions. Here are four reasons to visit Las Vegas to celebrate Chinese New Year. With the explosive growth of the Chinese New Year in the Desert festival over the past five years, the 2017 edition will share culture in multiple Las Vegas locations. Launching on Jan. 27 at Fashion Show Mall, festivities will include performances by the Sichuan Song and Dance Theater Company, an eye painting ceremony by Las Vegas Lohan School of Shaolin and authentic dragon dances. 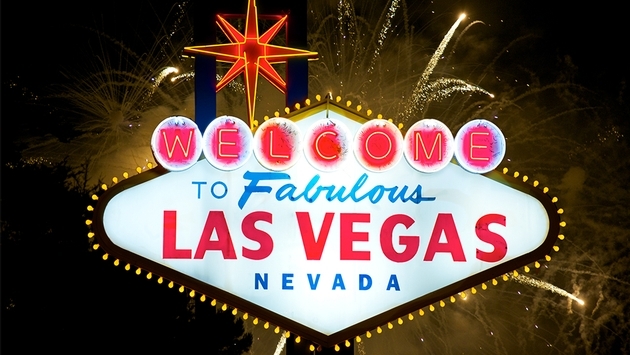 The following day, the celebration hits Downtown Las Vegas grabs the spotlight with the Las Vegas Spring Festival Parade. Beginning at the intersection of Fremont and 11th Street, the action will showcase dance groups, bands and colorful floats along a route ending at the entrance of the Downtown Container Park on Fremont at 7th Street. A Parade After Party will keep it lively with entertainment and free activities that include spectators building lanterns and tossing red ribbons into the wishing tree for good fortune. Chinese New Year in the Desert hits its grand finale with the Jan. 29 DragonFest Benefit Concert at The LINQ Theater that will feature solo and group numbers from a variety of local and international Chinese troupes. From Jan. 27-30, The LINQ Promenade hosts dragon dances each evening on its Fountain Stage, while the iconic High Roller will be illuminated in red and gold that signify good fortune, joy, good luck and neutrality in the Chinese culture. The first Las Vegas resort designed from the ground up to encompass an authentic Asian cultural experience, Lucky Dragon Hotel & Casino will begin its 15-day Year of the Rooster celebration on Jan. 28 with a traditional lion dance followed by giveaways. The resort keeps to theme with its Asian-inspired eateries, gardens and extensive tea offerings curated by Las Vegas' only tea sommelier. Visitors will also find traditional lion and dragon dances commemorating the Lunar New Year at The Venetian Las Vegas, The Palazzo Las Vegas and ARIA Resort & Casino on Jan. 28, Palms Casino Resort and MGM Grand Hotel & Casino on Jan. 29, and Palace Station and Bellagio on Jan. 30. With its distinctive blend of East and West, Las Vegas Chinatown Plaza buzzes with Orientals purchasing traditional products and Occidentals exploring Asian culture. The plaza provides the city’s largest sampling of Asian cuisine that runs from Mandarin, Cantonese and Vietnamese to Japanese, Hawaiian and Chinese. Culinary aspects aside, visitors can catch the Year of the Rooster hoopla on Feb. 12 via dances, performances, cultural activities, a calligrapher, fortuneteller and vendors. From Jan. 27-Feb. 5, Wing Lei at Wynn Las Vegas will resurrect its Chinese New Year Dim Sum Brunch with dozens of traditional Asian delicacies served tableside, and at carving stations in its extravagant buffet. Patrons at Lucky Dragon Hotel & Casino are in for a treat with Pearl Ocean’s prix fixe menu available from Jan. 28-Feb. 5. The live seafood and dim sum restaurant features a menu with stir-fried conch, Dungeness crab, and lotus root, black moss and pork tongue soup. In its live seafood room, guests can select living exotic delicacies flown in daily for preparation in both traditional and modern culinary styles. With complementing styles from Jose Andres, China Poblano at The Cosmopolitan of Las Vegas will lure with a bevy of Chinese specialties from that includes fat choy, feng and dried oysters. On the spirits front, the restaurant will serve 50-year-old Hardy Noces d’Or Cognac from a rooster branded crystal bottle. Other culinary options that will appease palates hankering for Asian cuisine are Fin at The Mirage, Hong Kong Café at The Venetian Las Vegas, MR CHOW at Caesars Palace, Cha Garden at Lucky Dragon Hotel & Casino, Blossom at ARIA Resort & Casino, and the new Momofuku at The Cosmopolitan of Las Vegas that debuted on Jan. 10. The Palazzo's Waterfall Atrium and Gardens goes to theme with a horticulture and floral display dominated by a 15-foot tall fire hand-painted and covered with some 60,000 crystals. An 18-foot tall dragon will adorn the atrium’s infinity pond, while eight smaller hand-carved roosters are sprinkled throughout the resort. Each season, the talented designers and horticulturalists of the Bellagio Conservatory team transform the 14,000-sq. ft. floral playground within the Conservatory & Botanical Gardens at Bellagio into a showcase of the distinctive seasonal sights. A special display for Chinese New Year stands out as a singular celebration. After entering the colorful gardens through a Moon Gate, guests find four ding pots burning incense to protect against bad fortune and bring good luck. The display also salutes the Lunar Calendar with a rooster perched atop a mountain, hen guarding her eggs and newly hatched chicks. Encore Las Vegas and Wynn Las Vegas will sport large rooster statues, lanterns, silk dragons and 100-plus tangerine trees symbolizing wealth and good fortune in the upcoming year. There’s no argument that Year of the Rooster dragon and lion dances are authentic entertainment that truly shares the Spring Festival. Yet, it wouldn’t be Las Vegas without a bit of a twist. Credited with popularizing “Cantopop” by infusing Western-style music with street Cantonese jargon in his lyrics, Hong Kong musician Sam Hui will take the stage in The Venetian’s ballroom on Jan. 28. Considered by many to be the first major Cantopop superstar, Hui will bring his “Fun Fun Fun” tour to Las Vegas with a special guest performance by Shannon Lee (daughter of martial artist Bruce Lee). With its members releasing more than 80 albums combined, Chinese pop-rockers Band of Brothers will light up The Park Theater at Monte Carlo on Jan. 29.